Unearth hidden insights with a personalised analytics experience driven by AI – on any budget. Just as every picture tells a story, so does every data point. 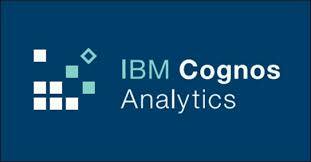 The all-new IBM Cognos Analytics provides a new, powerful personal analytics experience, driven by AI. It’s built to help you find and share compelling stories that lie hidden in your data. Unlike analytics solutions that only show what’s happening across your business, IBM Cognos Analytics goes further, using AI to get to why it happened. For the business user who needs to easily create compelling visualizations and dashboards. For the business leader who needs a proven, self-service analytics solution they can trust. For the enterprise that needs the scalability and analytics governance the business demands -- whether on-prem or on cloud -- IBM Cognos Analytics delivers it all. Advanced Analytics – this includes predictive analytics; the ability to identify data patterns and the key variables driving a particular outcome; smart annotation, which automatically annotates a visualization to draw your attention to key insights the system identifies; and natural language generated-insights of your data. As an IBM partner, Tahola are able to provide you with the all new IBM Cognos Analytics, along with our expertise that enables us to create a bespoke solution to meet your specific business requirements.